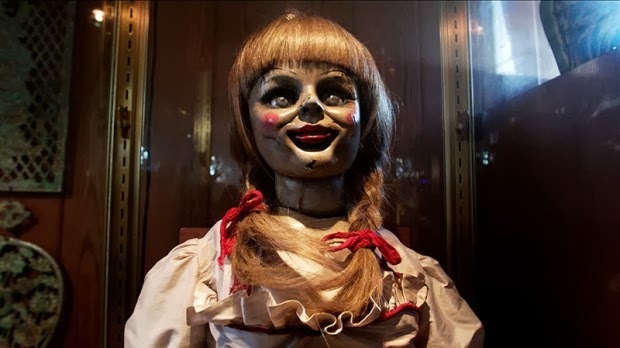 The Conjuring was released in the United States and Canada on July 19, 2013, and in the United Kingdom and India on August 6, 2013. The film has received positive reviews from film critics, and has also been praised by audiences. The film was also a box-office success, grossing over $313 million worldwide from its $20 million budget. 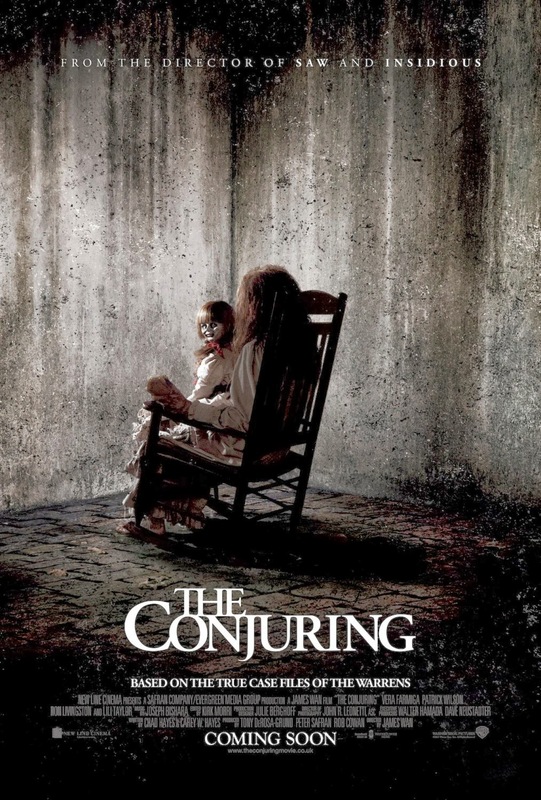 More about The Conjuring (2013) Review - keep on reading !! 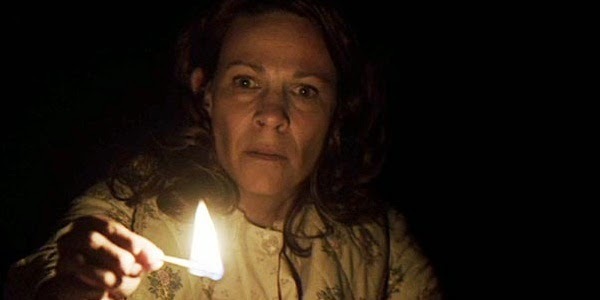 In 1971, Roger and Carolyn move into a dilapidated farmhouse in Harrisville, Rhode Island with their five daughters. During the first day, their move goes smoothly, though their dog, Sadie, refuses to enter the house and one of the daughters finds a boarded up entrance to a cellar. The next morning, Carolyn wakes up with a mysterious bruise and finds Sadie lying dead outside the house. Over the next several days, various instances of paranormal disturbance occur, one of which is Carolyn noticing all clocks in the house stop at exactly 3:07. The activity culminates one night while Roger is away in Florida. After hearing various clapping, giggling, and seeing the picture frames shattered on the stairs, Carolyn is locked up in the cellar. Right after this, Cindy is awakened after sleepwalking into Andrea's room and is horrified when she sees a spirit at the top of a wardrobe in the room, who attacks Andrea. Carolyn contacts noted paranormal investigators Ed and Lorraine Warren for help. The Warrens conduct an initial investigation and conclude that the house may require an exorcism, but they needed authorization from the Catholic Church and further evidence before that. While researching the history of the house, Ed and Lorraine discover that the house once belonged to an accused witch, Bathsheba, who tried to sacrifice her children to the devil and killed herself in 1863 after cursing all who would take her land. The property was once 200+ acres but has since been divided up into smaller parcels. They find reports of numerous murders and suicides in houses that have since been built upon parcels that were once part of the property. Ed and Lorraine return to the house in an attempt to gather evidence to receive authorization for an exorcism. Cindy sleepwalks into Andrea's room once again and reveals a secret passage behind a wardrobe. Lorraine enters the passage and falls through the floorboards into the cellar, where she sees the spirit of a woman whom Bathsheba had long ago possessed and used to kill her child. Another of the Perron children, Nancy, is violently dragged by her hair along the floor by an unseen force. The Perron family decides to take refuge at a hotel while Ed and Lorraine take their evidence to the Church to organize an exorcism. While the Warrens were on their way home, their daughter is attacked in their own home by the spirit of Bathsheba, though Ed arrives in time to prevent her from getting harmed. Carolyn, who was earlier possessed by the spirit of Bathsheba, takes two of her daughters, Christine and April, and drives back to the house. Ed, Lorraine, two of their assistants and Roger rush to the house where they find Carolyn trying to stab Christine with the shears. After subduing Carolyn, Ed decides to perform the exorcism himself, though Carolyn escapes and again attempts to kill April. Lorraine is able to temporarily distract the possessed Carolyn from killing her daughter by reminding her of a special memory she shared with her family, allowing Ed to complete the exorcism, saving Carolyn and her daughter. Returning home, Lorraine tells Ed that the priest who they sought for the exorcism had called back and left a message, saying that he had gained approval from the Catholic Church to perform it. In addition to this, he also has another case for them to investigate on Long Island. An excellent combination of the Exorcist and Paranormal. We'll worth the watch and surprisingly well cast directed and written. Highly recommended!